People often automatically assume that the price of installing premium siding would set them back by too large a sum of money. This assumption leads those on a budget to rule out such products even before taking a closer look at the numbers. The initial cost of premium siding might be higher than the lower quality vinyl or fiber cement. However, the long-term savings more than make up for the initial cost. Among the many premium siding brands on the market, Everlast Composite Siding is one of the best and least expensive. The beauty of its wood-like grain and the vividness of its lush colors, however, stay the same through the years with very little maintenance needed. This makes it an excellent choice when considering what material is the most cost-effective to use in a siding project. What goes into calculating how much siding installation would cost depends on what the project would entail. The most basic, the least expensive option, would be a project where the house siding materials cover only the Everlast Composite Siding and basic house wrap. This includes labor and basic materials warranty. In the New England area, a Cape style house, with 1,000 to 1,400 square feet of floor area, will cost between 1.5 to two times the price of the same project using builder grade vinyl. In certain cases where existing siding and some of the existing trim need to be replaced, the cost will increase by approximately 20%. Most of this goes to demolition work and disposal of the old siding and damaged trim. Some repairs might also be needed before the new siding can be installed. This may drive the price a bit higher. This aspect is difficult to quantify because the damage is often found underneath the old siding and can only be assessed after its removal. For houses where more siding accessories are also to be replaced, the cost will be commensurate with what needs replacing. This may entail replacement of all the existing trims (both pocket and window trims), corners, eaves, vents, and soffits. This job will mean more extensive demolition. In some instances, it would also be practical to upgrade from basic house wrap to rigid foam wrap, which has better insulation. If the same Cape style house is to be used to make a cost estimate, the price may go higher by 40% to 60%. If custom work is added, such a project may cost up to about double that of a basic siding and basic house wrap project. Such work may include gable vents and custom accent painting. Warranty coverage will also be more substantial in both cases and may cover not just the materials but also the installation and finish. The figures indicated are all estimates based on a one-storey Cape style house with a floor area of 1,000 to 1,400 square feet. Furthermore, there may be other items that will increase the overall cost of a siding project. These may include, but are not limited to, permit costs, if any; the use of a hydraulic lift for house styles with more than one storey; and the added labor cost for areas where installation is challenging (as in densely populated areas). The complexity of the house design will influence cost because the siding will have to be cut to accommodate it. The type of trim, soffits, vent, and eaves will definitely also have an impact on cost; higher quality equates to higher cost. 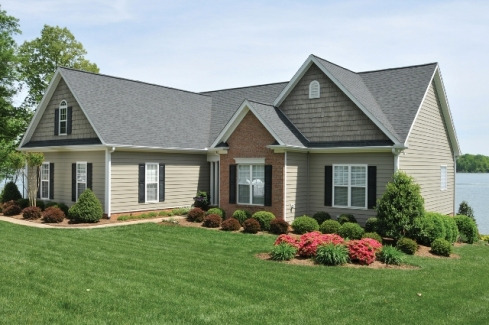 Everlast Composite Siding has double-lifetime warranty coverage for both the material and the sidings color. It is guaranteed against temperature extremes, moisture, high winds, impact damage, color fade, and hail. 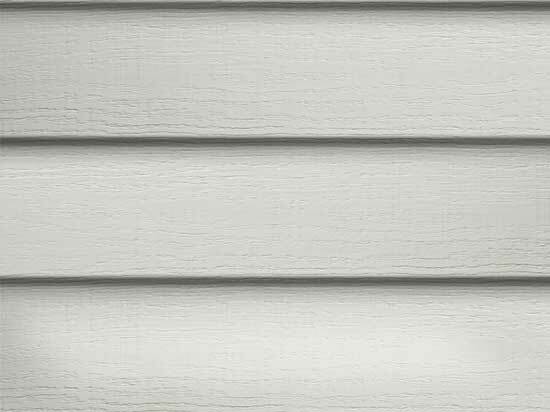 Unlike wood or vinyl, the siding does not need to be repainted every so often, and it has no cellulose to make it susceptible to moisture, as fiber cement does. The only maintenance that it usually needs is a good washing down with water. It may be true that initially, Everlast siding might cost more than vinyl or fiber cement siding. Still, its ability to retain its beauty will cost the original owner, and even the next owner, considerably less over the years. Taken as a whole, therefore, projects that use this siding type will have a much lower cost of ownership.